“A friend of mine bought one of these drivetrains on eBay,” Bryce explains, “and while he was there the company mentioned they had another one. It was not as complete as his since it was missing some parts.” But for a low enough price, almost anything can be forgiven. In this case, that price was $800 and included shipping to Bryce’s house in Portland. Faster than you can say “Sold!” Bryce was the lucky recipient of an electric car powertrain with a street value he estimates at between $8000 and $9000. While cool and dripping with potential, at the time Bryce had no idea what to do with it. The driveline went to that place where all cool projects go: the back of the garage. Bryce kicked it around for a few years, looking for just the right project at just the right price. Inspiration came when Bryce picked up a used Pontiac Fiero Formula. 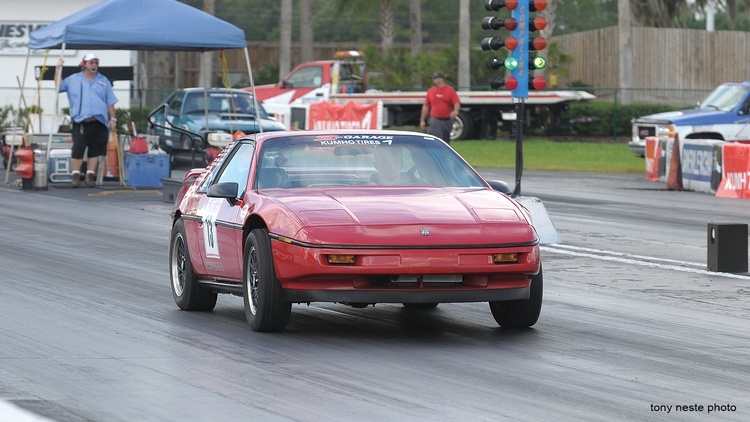 This wasn’t just any Fiero, either: The 1988 models are highly regarded among the fans of the model. “It has the best suspension, good brakes, a V6 engine and manual transmission,” Bryce explains. “It’s fairly sought after in Fiero circles, and the $500 asking price was a good deal.” While the paint and interior were in good shape, according to the seller it had a timing chain problem and needed a clutch—a diagnosis that was a bit pessimistic. 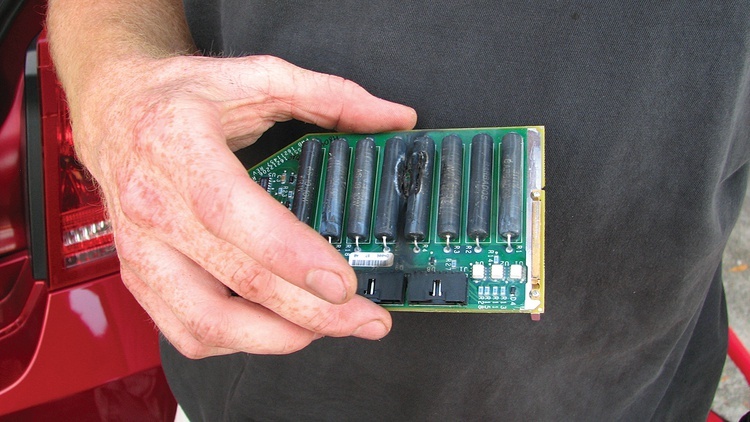 “Based on past experience with these, I knew it was probably the ignition module,” Bryce explains. “It took me a couple of days to get it back together, and that was the problem. The bad clutch was actually misadjusted shift cables.” Bryce suddenly had a running, driving Fiero Formula for only $500. Now Bryce just needed enough motivation to complete the puzzle. 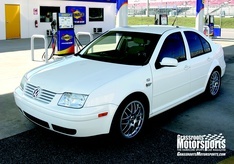 Our own Grassroots Motorsports $2009 Challenge did the trick, specifically the West Coast edition. The hybrid idea that Bryce had been kicking around for the past few years would be just the thing to score points with judges—and also show the GRM community just what West Coast competitors could do. It helped that he had done the research long before. Many of the sensors that control the battery-charging and -cooling system were missing, but Bryce knew this issue was just a minor annoyance. Bryce was missing the battery charging port and its controls. Armed with a Helms service manual for an electric S-10, Bryce fabricated new components. Once the electronics were under control, he started working on the next big issue: how to attach the motor to the wheels. 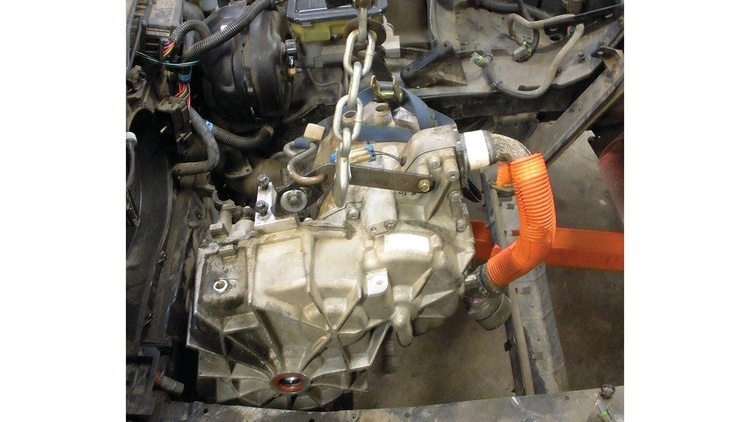 He decided to place the electric motor in the Fiero’s front trunk, yielding all-wheel drive. 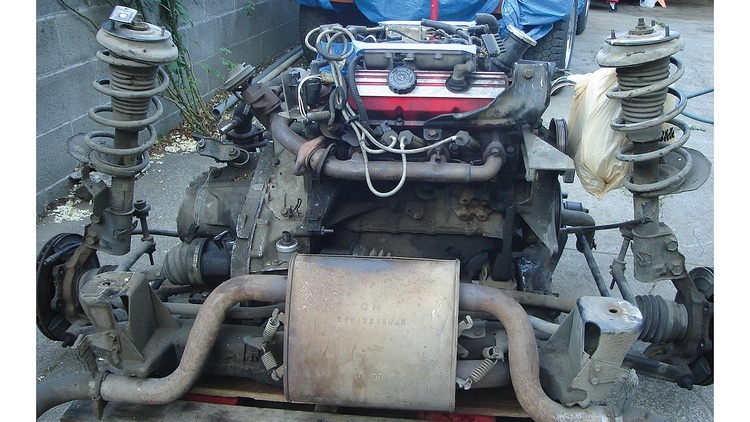 The motor and differential came as a one-piece unit, but some of the parts were borrowed from other GM cars. The differential, it turns out, was also used in early Saturns. That meant the inner CV joint splines were compatible with other GM parts. To wind up with the same bolt pattern at all four corners, Bryce decided to use Fiero rear hubs up front, too. That meant he had to assemble his own axles. “I did some Internet research—it took me hours—to find the spline sizes and axle lengths of various GM cars,” Bryce explains. 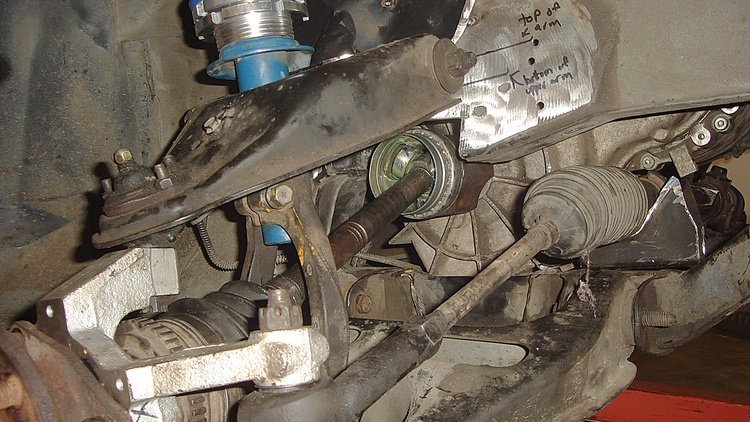 “In the end I used a Fiero outer CV joint to match the Fiero hubs and a Saturn inner CV joint to match the differential.” He found some Cavalier axle shafts that were the correct length and had the right splines to join the different CV joints. Fortified with the source material knowledge, Bryce set out on a marathon junkyard mission. In order to build his two front axles for the lowest possible cost, he decided to assemble them inside a self-service salvage yard. That plan required pulling six different axles from at least three different years and models of GM cars. He then had to break everything apart and build his custom axles, all while stationed in a dirt lot. Bryce still had to fit some more components inside the Fiero chassis. 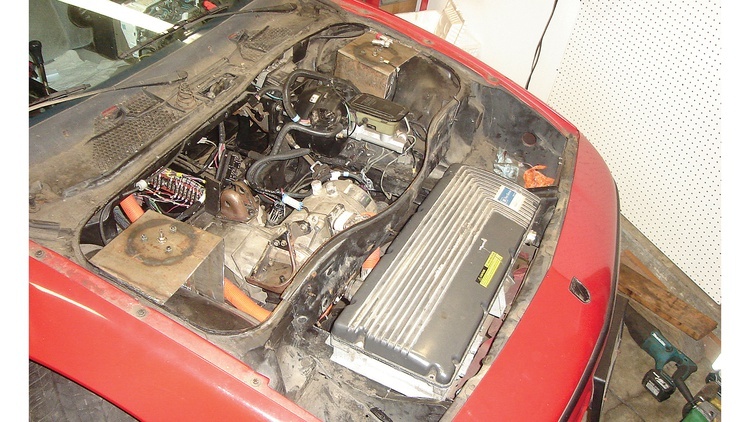 The electric motor needed its own cooling system, so Bryce fitted a second radiator. It now shares space with the original Fiero piece, and both are leaned at opposing extreme angles for maximum packaging efficiency. A Toyota Prius battery pack, chosen for its low weight and high capacity compared to the original lead-acid battery packs, would live under the dashboard. 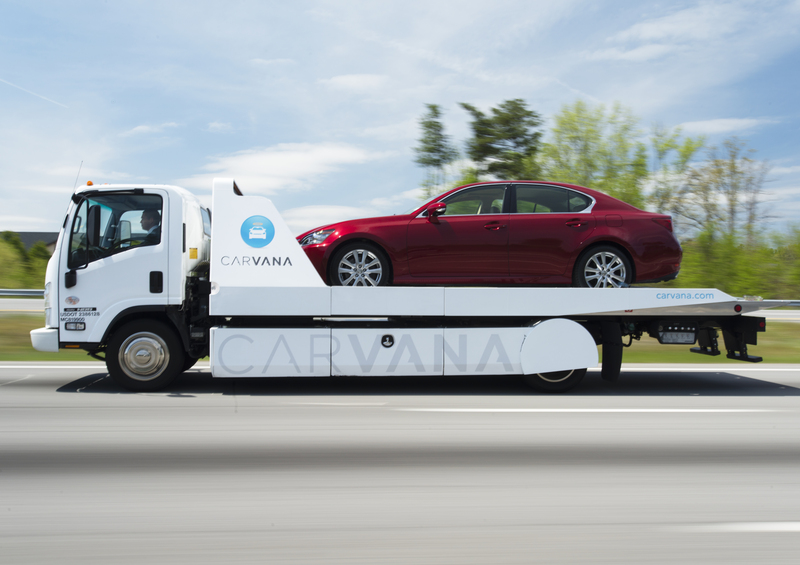 Even though the battery pack only produces a third of the motor’s rated voltage, it initially pushed the motor to a little more than 60 horsepower. Some wiring changes eventually raised that figure closer to 75. He finds the setup practical at the drag strip, where he can recharge the battery during the drive back to the start line. And if the drive back doesn’t give him enough of a charge, Bryce says he can just drive around the paddock and generate more electricity. Bryce controls the electric motor with a second throttle pedal located just left of the stock one. This was supposed to be a temporary setup only used for testing, but it worked better than expected. Early testing sessions also showed that the lack of temperature controls was not a problem. The original, huge lead-acid battery pack produced much more heat than the Prius pack, partly because it could be fully discharged in as little as 50 to 100 miles. The newer nickel-metal hydride packs don’t heat up more than a few degrees. As the Fiero neared completion, however, Bryce began to worry. He noticed that most of the people who expressed enthusiasm for the West Coast Challenge began to drop out one by one. The night before he left for the San Diego event, only five to seven competitors were expected. On the morning of the competition, even those competitors had evaporated, making Bryce the only contestant who actually made it. Even though Bryce won by default, he said he was disappointed. Once back in Portland, he turned to his online gearhead support group and detailed what happened. Here’s where the story gets interesting. 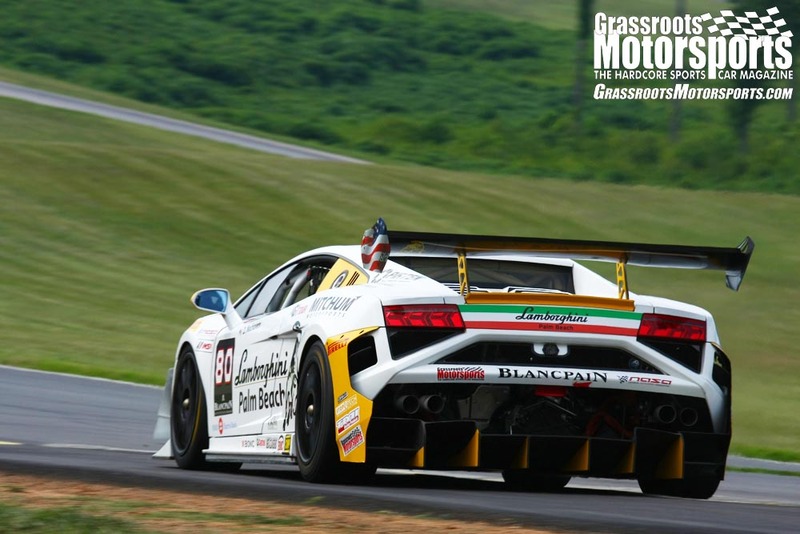 A few people offered to send him money so that he could attend the big event in Florida, the Kumho Tires Grassroots Motorsports $2009 Challenge. He thought they were kidding, but he gave out his Paypal account information. “Before I knew what happened, I had $1500 or $1600 in my account,” he recalls. “That just covered the cheapest round-trip shipping I could find for the car, which was with a no-name shipper with no guaranteed timeline and only an approximate destination.” Despite the risks, Bryce was headed to Florida. A few weeks later, he was reunited with his car at the $2009 Challenge. Unfortunately, it wasn’t exactly a happy reunion. The slow shipping and Florida heat conspired to damage the battery pack and some of the complicated, expensive electronics. A few of the high-voltage relays had welded themselves shut. Bryce immediately leapt at the repairs; his biggest fear was letting down the online community, not losing. “My friend who started the whole thing with the other electric S-10 powertrain was flying down to help me,” Bryce explains. “I called him as soon as I figured out what I needed, but it was almost too late.” His friend dashed home and grabbed the needed replacement parts. He arrived on the first day of the Challenge, and the team got the car working again. It wasn’t fast, but it ran. 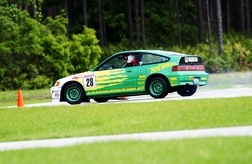 “Unfortunately, we were the last car to finish the autocross, and our time was painfully slow because I could only use half of my battery pack,” Bryce admits. Despite making a good showing in the concours—fourth out of 50-plus entrants—and landing the Evil Alliance Award for his outside-the-box thinking, Bryce managed only 20th place at the event. While many people would have been happy just to overcome the challenges he faced in the hours before taking the green flag, Bryce says he left the event disappointed. Bryce hasn’t stopped development on the car. 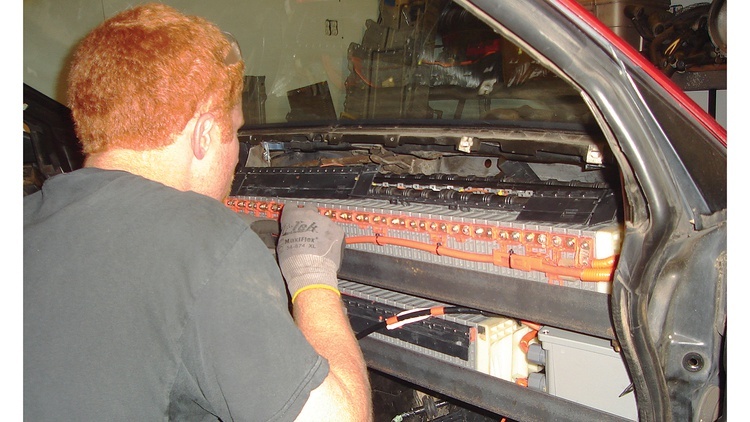 First, he wants to completely redesign the electrical system to prevent the sort of problems that befell the car in 2009. Second, he hopes to upgrade the front dampers to something adjustable that can make the most of stickier tires. Bryce also wants to add nitrous and swap out the cast-iron V6 for something newer and stronger. “There are much better GM engines that drop right in,” he explains. “An engine swap would give me 40 to 50 more horsepower and lose 40 to 50 pounds.” Ideally he’d choose something with an electric throttle so both powertrains could work off the same pedal. 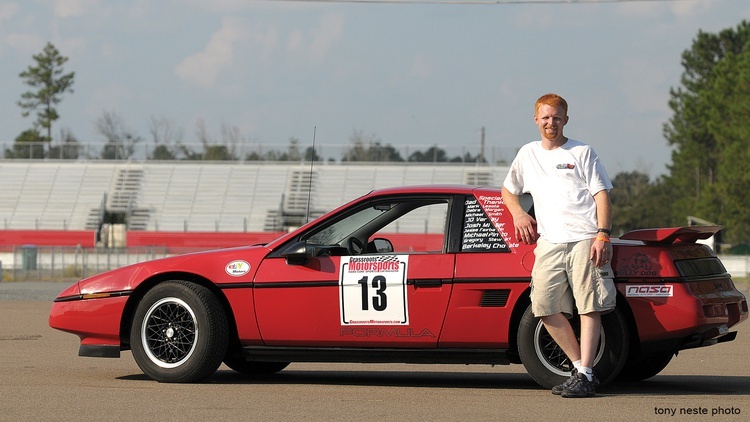 Whatever changes the Fiero eventually receives, Bryce can take comfort in knowing that he’s a trailblazer. The national news is dominated by reports of upcoming hybrid vehicles, and Bryce used his superior engineering and problem-solving skills to create one for himself—all for less than $2000. 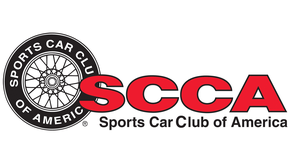 Note: Bryce contacted $2009 Challenge organizer Per Schroder to confirm legality of the Oregon hybrid rebate prior to the competition and was given the all-clear as far as his budget was concerned.